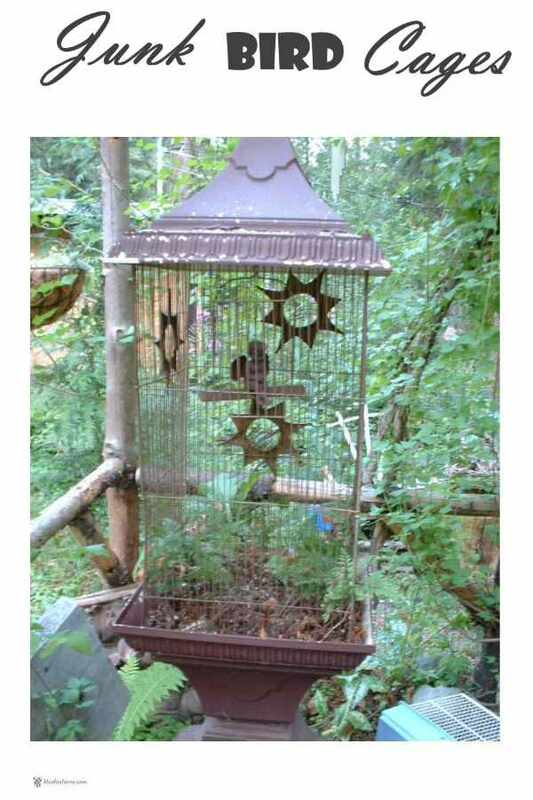 Junk Bird Cages can hold much more than just a bird; how about a special collection of seashells, driftwood, or even nuts and bolts, or a bird made from old tools wired or bolted together? 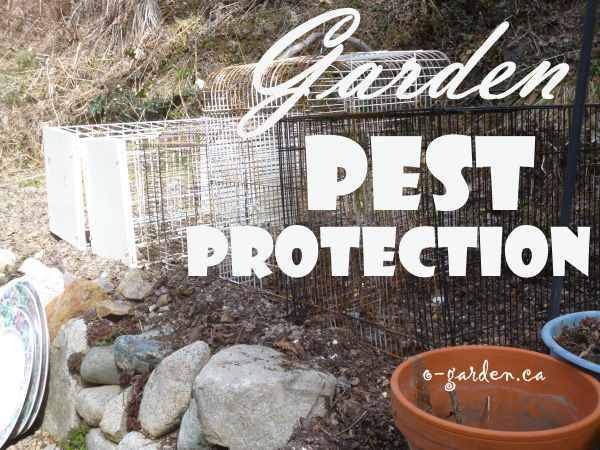 They can be planted with succulents, displayed with a salvaged birds nest or two, or to protect special plants from chipmunks or rabbits. 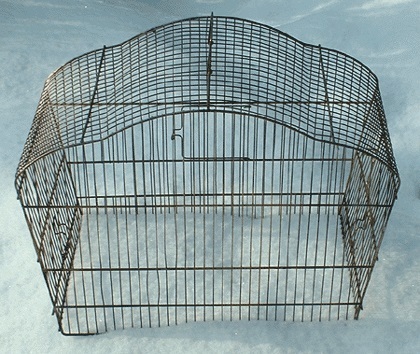 They can be used as a way to display your eclectic collections, or just to enjoy as is. 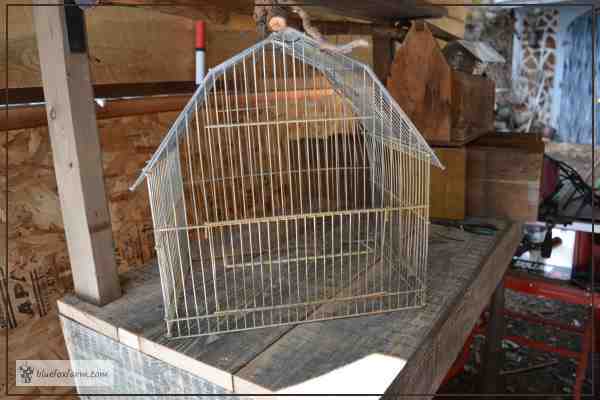 There is something really appealing about bird cages, the rustier and more beat up the better. 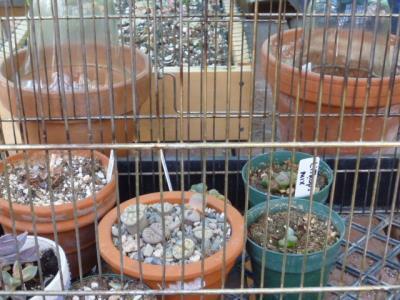 I always take t he base out of my bird cages, so they can never again be used to hold a bird captive. Bits of twisted root, or driftwood collected on the beach, wired in place make a sturdy handle - and add some rusticity. 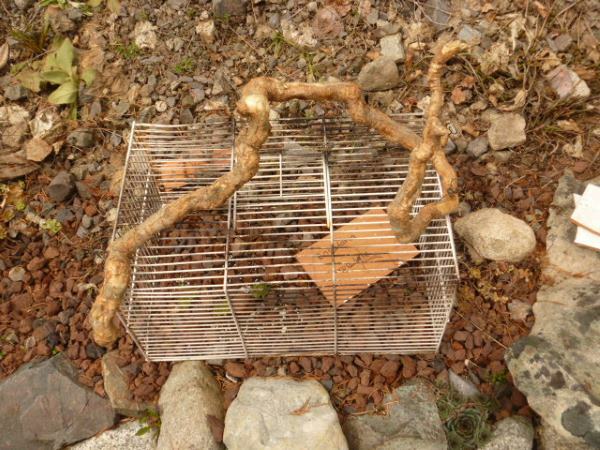 I use my favorite wire, rebar tie wire, to hold the twig handle in place securely. 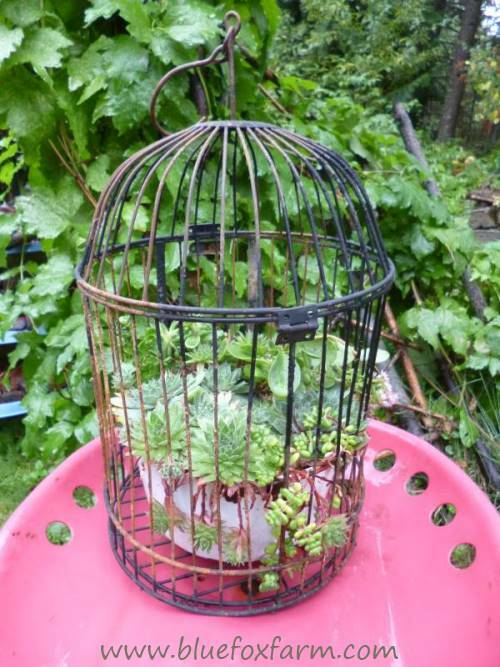 Squirrels Foot Ferns cover the base of this Victorian looking bird cage - the tiny cherub perches on the swing. I call this one 'Going Up' because it reminds me of an old fashioned elevator. 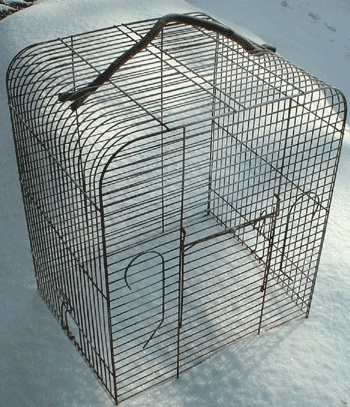 If a bird cage or other cage was used for keeping mice or other small animals in, it stands to reason that they won't be able to get in. 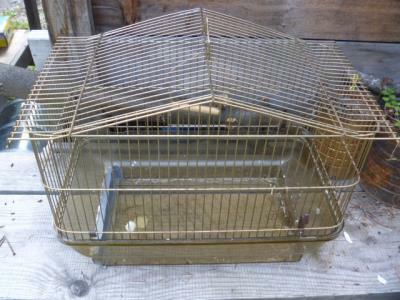 A bird cage with a plastic base - what should I use that for? 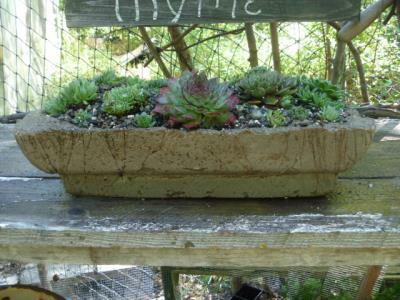 Why not a mold for a hypertufa planter? Simple rustic displays gathered on a potting bench or shelf make great little vignettes. 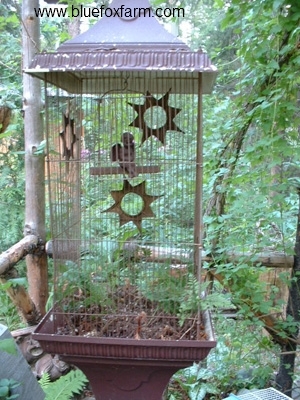 I had this one in my booth to sell faux birds nests.